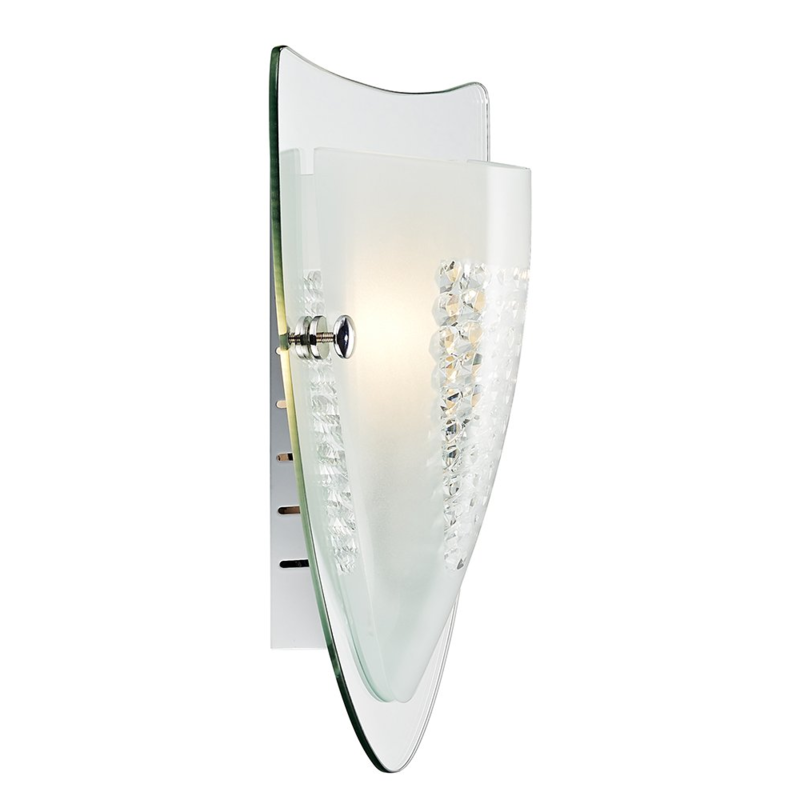 Modern and unique shield-shaped flush wall light fixture with polished chrome plated metalwork. Includes mirrored backplate which creates a stunning effect when turned on. 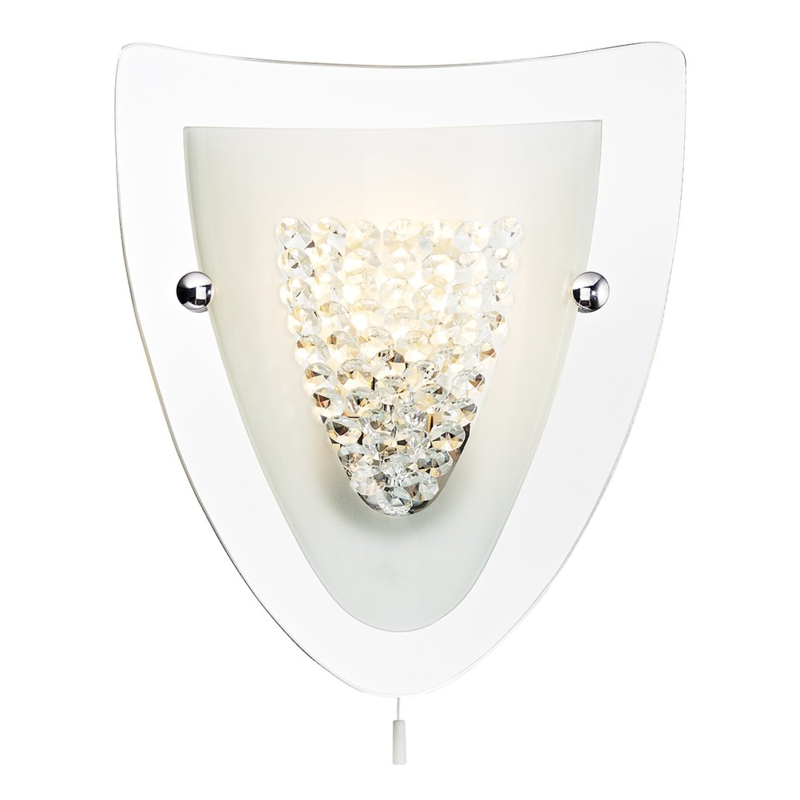 Also includes opal white glass diffuser featuring inner clear crystal glass beads. Dimensions: Height - 28cm, Projection - 8cm, Width - 25cm. Requires 1 x maximum 40watt SES (E14) candle bulb (not included). Low energy and LED bulbs may be used if desired. Features white on/off pull switch button.